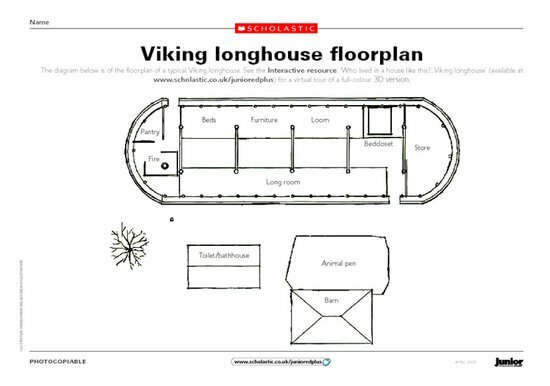 This floor plan of a Viking longhouse is the perfect way to add context to your Vikings topic. As a class, discuss the different rooms and what might have happened in them. See if you can inspire your children to do some independent research about life in Viking times. All aboard for the creative curriculum!